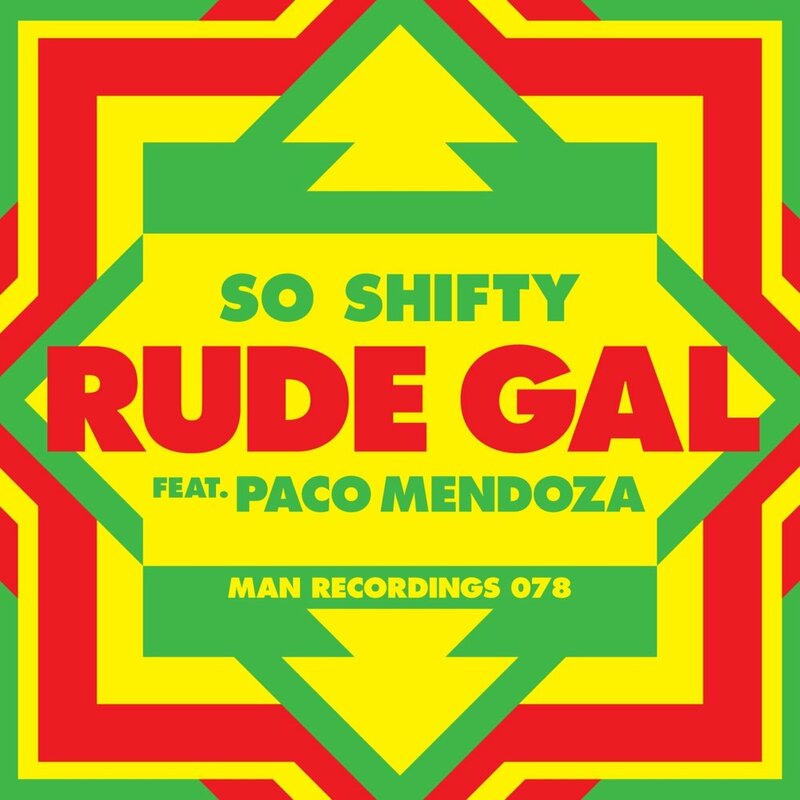 After the great success of their debut single “Rumba” ft. Madera Limpia on Man Rec in summer 2012, Hamburg´s So Shifty return with a new summer tune: “Rude Gal” featuring Paco Mendoza. For “Rude Gal”, the much-in-demand tropical duo from North Germany has produced a big reggaeton tune, perfect for hot weather jams and pool parties. “Rude Gal”, an ode to all the Reggaetoneras worldwide, features Germany’s currently biggest Spanish speaking singer, Paco Mendoza from Berlin, who has had numerous hits in Germany with artists such as DJ Vadim, Macka B and Irie Revoltes and has toured across Germany, China, USA and Latin America. So Shifty recently collaborated with and remixed top league artists such as Major Lazer, No Doubt, Popcaan, Busy Signal, Wild Belle and Stylo G.
On the remix tip, the contributors are UK’s highly acclaimed Murlo, New York-based cousins Atropolis and Thornato as well as Chief Boima, who managed to get long-time Man Recordings collaborator Isa GT on board for extra vocal duties. Now get the summer started!